As a project manager working for Lochsa Engineering, I was the engineer in charge of preparing the plans and specifications for this project for the City of North Las Vegas. After construction began, I was responsible for all construction administration for the civil engineering discipline. 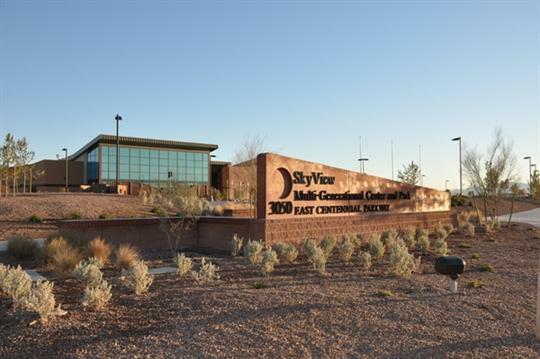 The Skyview Multi-Generational Center serves the northern part of North Las Vegas in a partnership with the YMCA. 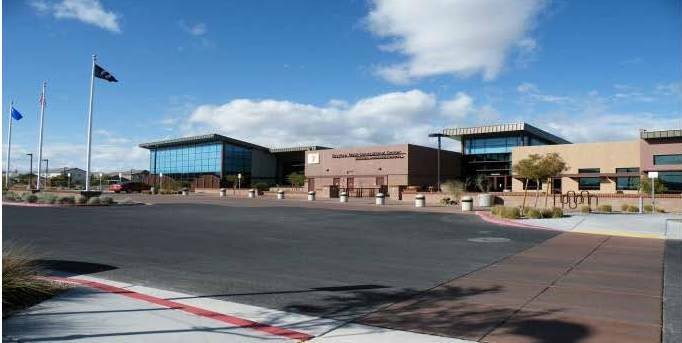 The facility is housed in a 36,000 square foot building containing a state-of-the-art wellness center with cardio equipment, circuit machines, and dumbbells. The facility also includes an indoor swimming pool with lap lanes and lesson areas. There is a dedicated child care room to help make time for the parents to live healthier. Multiple studios provide a setting for a variety of classes, including yoga, Zumba, cycling, kickboxing, martial arts, pilates, aerobics, and “Y-Kids,” which are the Y’s child-focused classes. Comforts and conveniences include fully equipped locker rooms, vending areas, and naturally lit gathering and relaxation areas with free Wi-Fi. The design included not only the on-site improvements but also improvements to the roadways and infrastructure surrounding the center. These improvements included expanding the adjacent roadways including the addition of a median, roadway widening with auxiliary lanes, lighting, and a sidewalk configured in a trail layout. Flood control design efforts included the hydrologic modeling of the 40 acre site and the upstream watershed. The project also included hydraulic design of 670 linear feet of 48 inch Reinforced Concrete Pipe storm drain along Centennial Parkway.